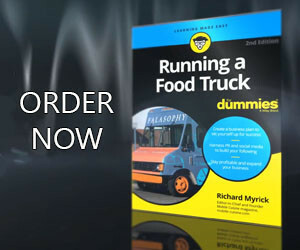 One of the more grueling tasks in running a food truck is marketing and promotion. You are busy operating your truck and many vendors can’t afford to hire a marketing agency to do this work. We try to make things easier by providing articles you can use to spark the idea process. Timely promotions resonate well with consumers so feel free to use these February marketing tips for your food truck promotions. Here are five February marketing tips to target the things happening next month. Since our start, we’ve shared the various food holidays throughout the year. With February around the corner, take a look at our February Food Holiday calendar to get an idea which of your menu items you can highlight. It will also give creative chefs the chance to plan to create new menu items that incorporate fun ingredients to market on big food holidays. The Super Bowl is one of the most watched programs on television. Use your geographic location, recipes, or business colors to engage customers for the Super Bowl. Cooking Class: Host a special Valentine’s Day cooking class for couples. Catering Discount: Valentine’s Day is the perfect time to run a special offer on catering a party. Menu Special: Valentine’s Day is on a Saturday this month and is the perfect time for a couples dining out. Come up with a special menu of aphrodisiacs foods to ignite some romance. February is Black History Month and the perfect opportunity to highlight prominent leaders in your area or food service industry. Local black business owners, politicians, educators, and athletes have shaped American society. Take some time to reflect on those who have shaped your business. It makes sense that the month of Valentine’s Day is also Heart Disease Awareness Month. If your food truck concept is focused on health and wellness, this is a great marketing opportunity for you. Partner with other local business offering special classes focusing on cardiovascular activity. Also, consider writing blog posts about heart health and risk factors. Use this time to market your food truck business by educating your customers to help them lead healthy lives. There are plenty of ways to tailor your food truck marketing for February. Use these fresh content marketing ideas to promote your food truck this February. These promotional ideas should get your marketing gears going while allowing you to harness the momentum of each promotion. Make sure to check back each month as we’ll continue this for the remainder of the year.